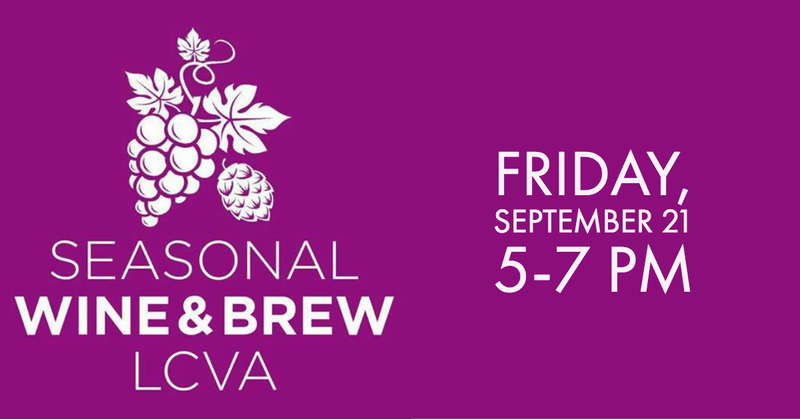 Join LCVA and Griff and Julie Aldrich of Longwood Univiersity Men's Basketball for our September Seasonal Wine & Brew! Unwind with art, friends and neighbors in LCVA's Lower Level, and enjoy a curated wine, beer, or specialty cocktail. This event is sponsored by Griff and Julie Aldrich of Longwood Men's Basketball as well as The Atlantic Coast Pipeline Foundation, Dominion Energy, Green Front Furniture, Helton House, the Anne Carter and Walter R. Robbins Jr. Foundation, and The Outer You Salon and School, and Tony Markland of Alcova Mortgage and Joe Hines-Timmons Group.